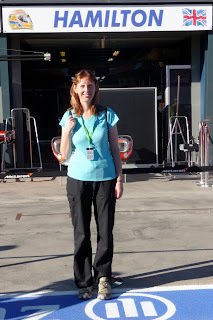 Crafty Nadz: Formula 1 Melbourne 2010! A great holiday! 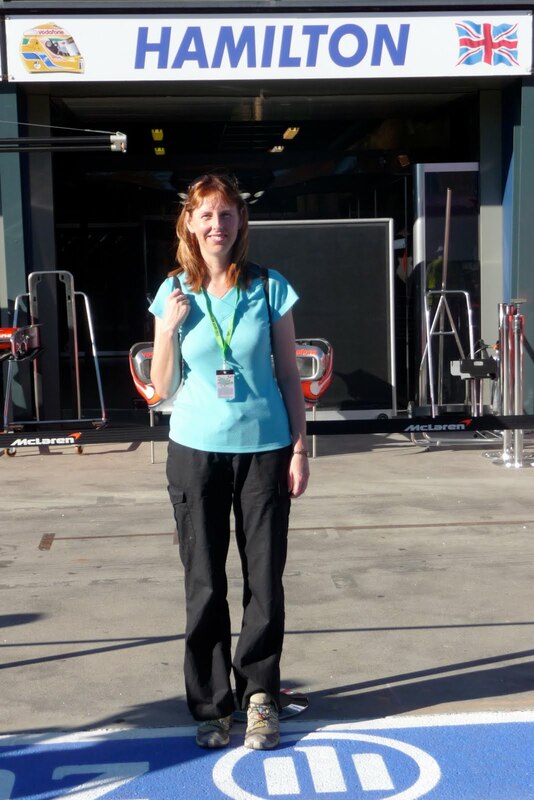 Formula 1 Melbourne 2010! A great holiday! 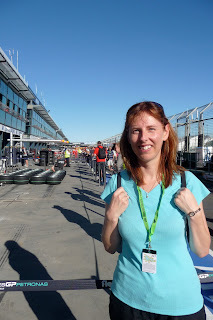 Rob and I went to Melbourne to the F1. Great fans of F1 we had a fabulous time getting to see all the things we normally have to get out of bed in the middle of the night to watch on TV. Posters of Lewis Hamilton and Jenson Button (my favorite drivers) were plastered all over the city. We were so keen to get our first look at an F1 car we stood outside the track to watch Jenson Button and Jamie Whincup (Champion V8 driver) swap cars for a fun drive. We got our first taste of the noise an F1 car makes. Here's an F1 steering wheel. We were lucky to get a pit walk. It was fantastic to get up close to where a lot of the action takes place on race day. Here's Buttons car. See how it shines! Outside the Mercedes Pit (Schumacher and Rosberg). Rob enjoyed taking cool shots of it all. There were many displays around the track. Steve liked this little rocket! Heres a Mclaren during practice. With our Gold Pass we were welcome at the pit straight bar. Here boys enjoyed a beer. The view of pit straight from the bar. And the winner is.....Jenson Button!!! Yeh what a race. We had a fantastic time with thrills and spills. The noise was intense!